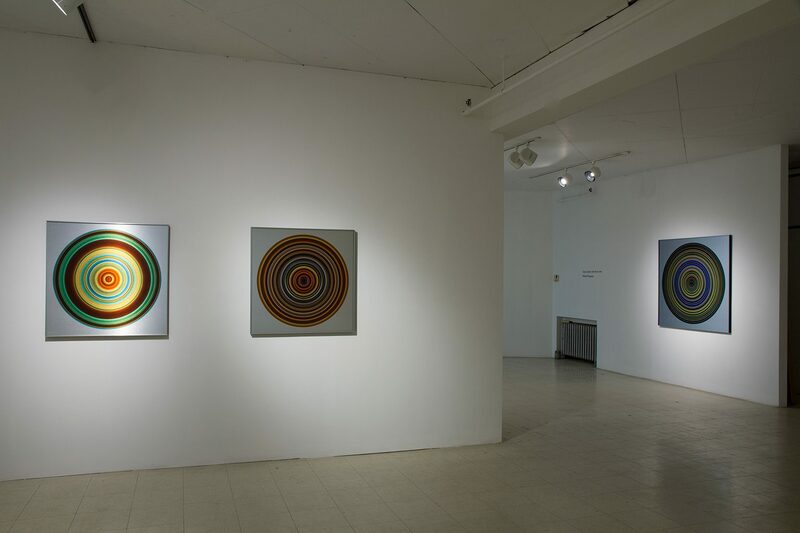 It is the luminous colours of Michel Piquette’s works that first catch the eye. 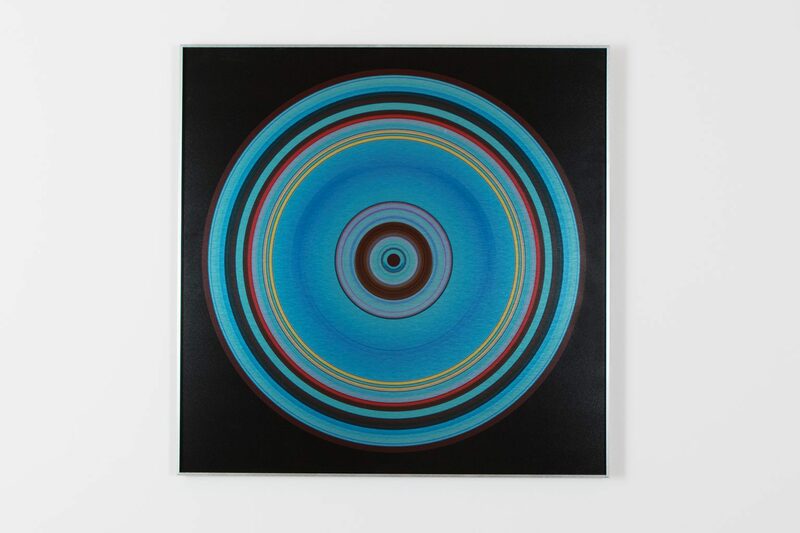 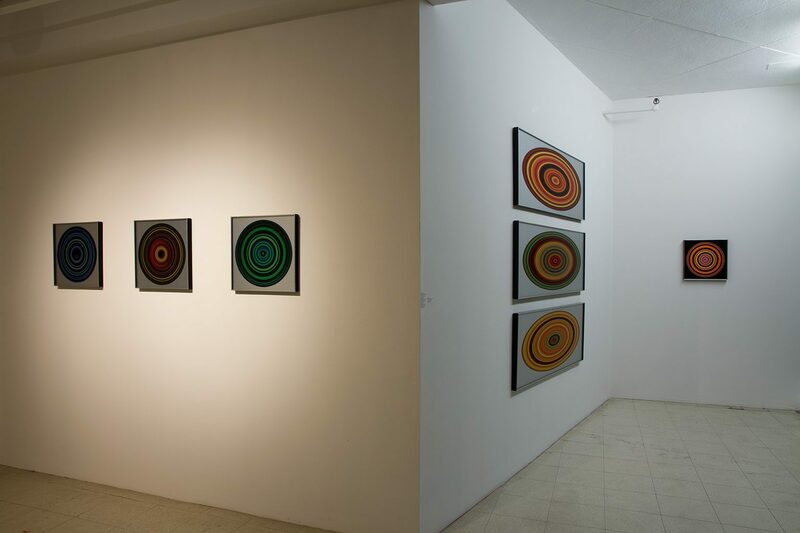 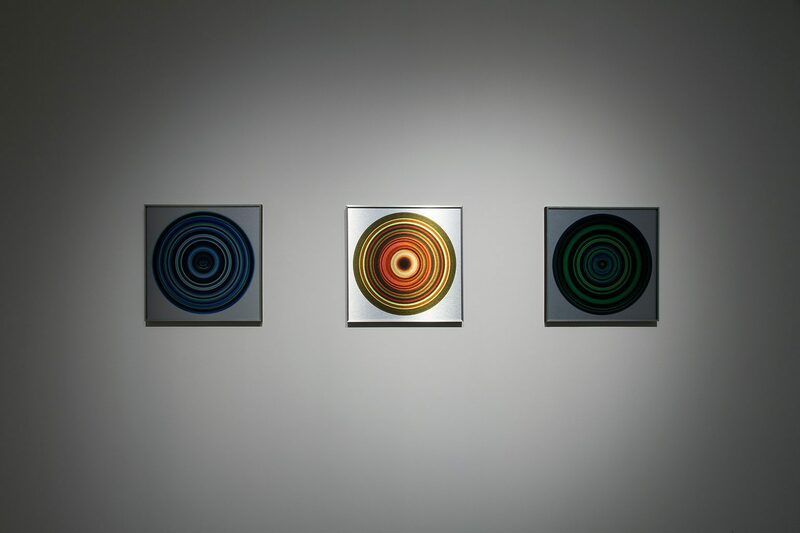 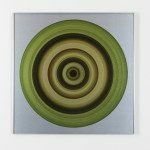 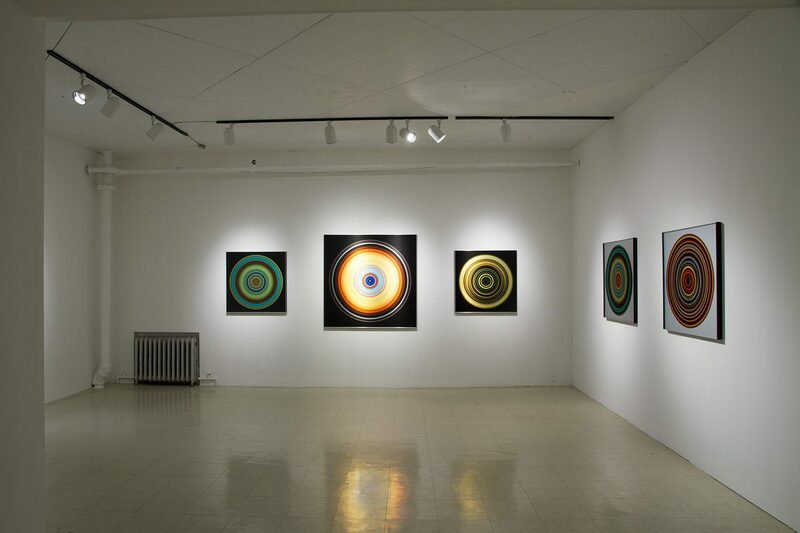 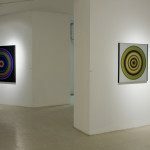 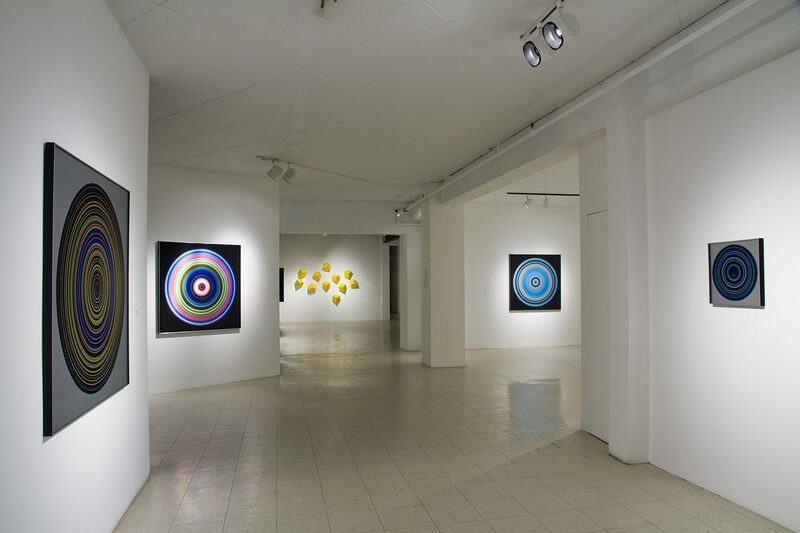 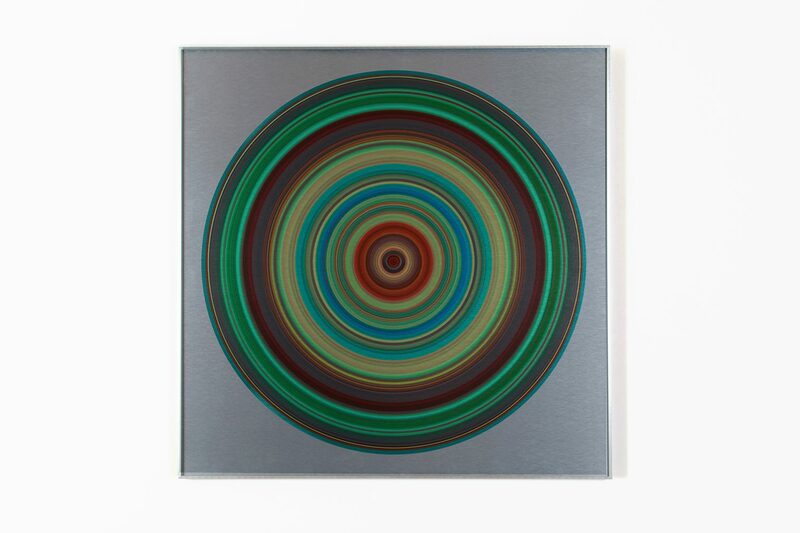 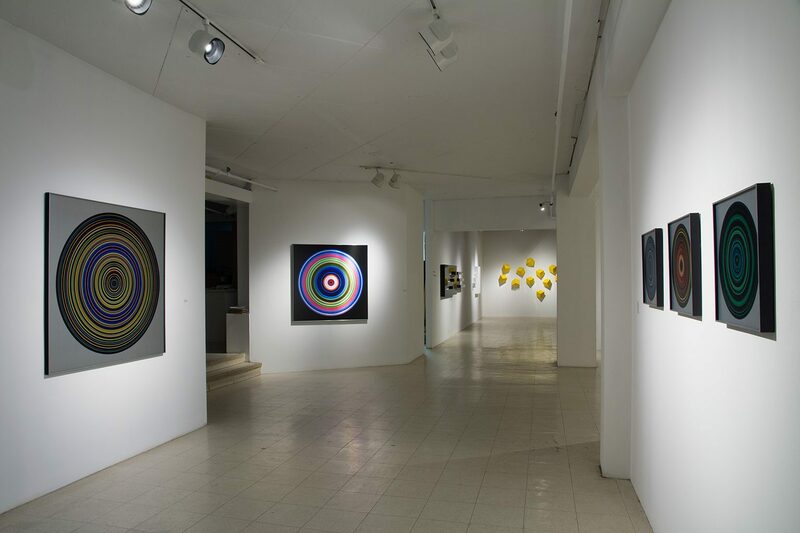 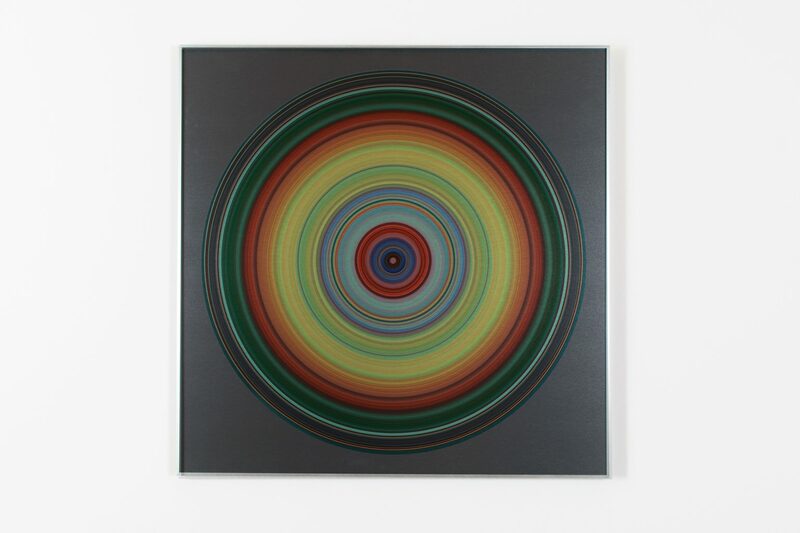 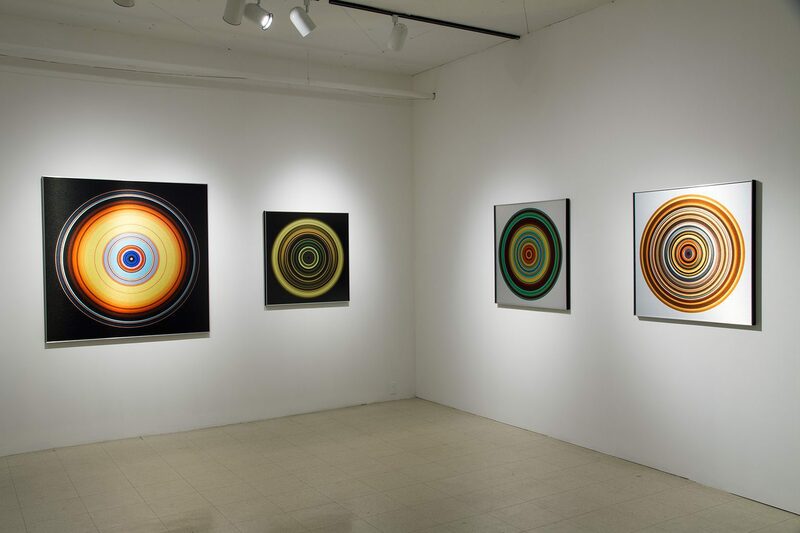 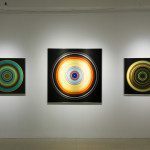 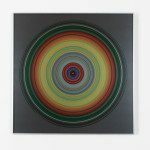 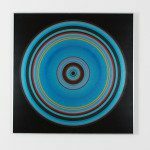 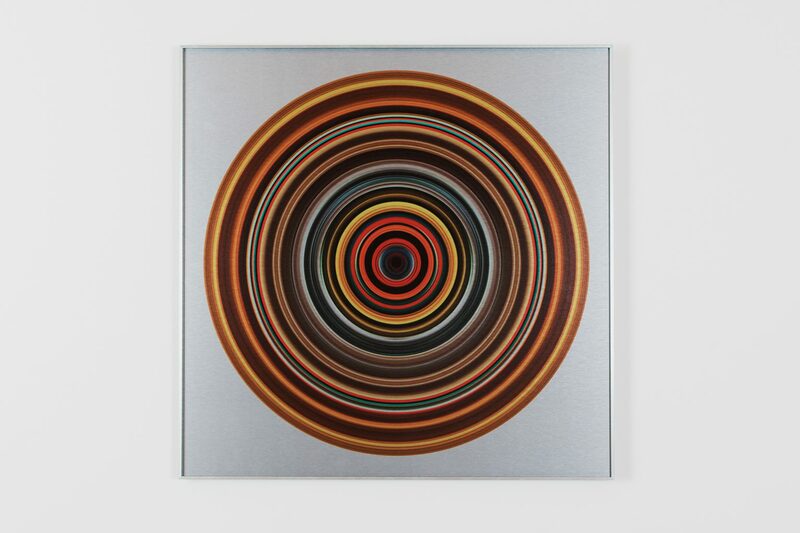 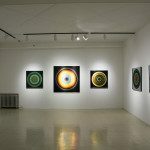 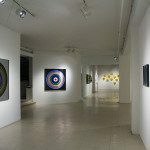 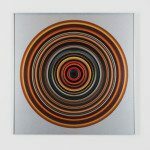 His chromatic circles that stir up vision take root in an aesthetic tradition a few decades old already: we can think of Claude Tousignant’s or Kenneth Nolan’s circular paintings, among others. 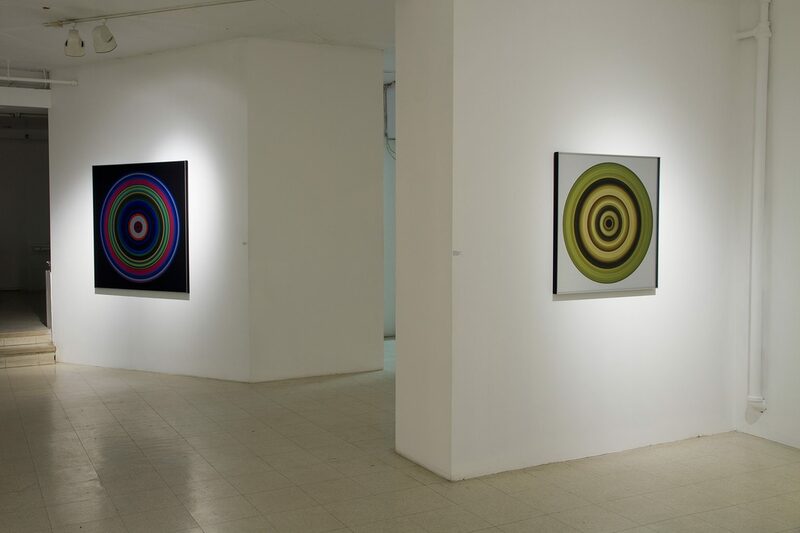 For Boris Chukhovich, “chromatic interactions make the exhibition space between the work and the viewer more dynamic, livelier.” While one progresses in the gallery’s space, the work reveals new details, new ways of viewing it. 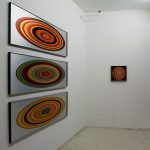 Even by standing still, it is the work that activates itself under the attentive eyes of the viewer. 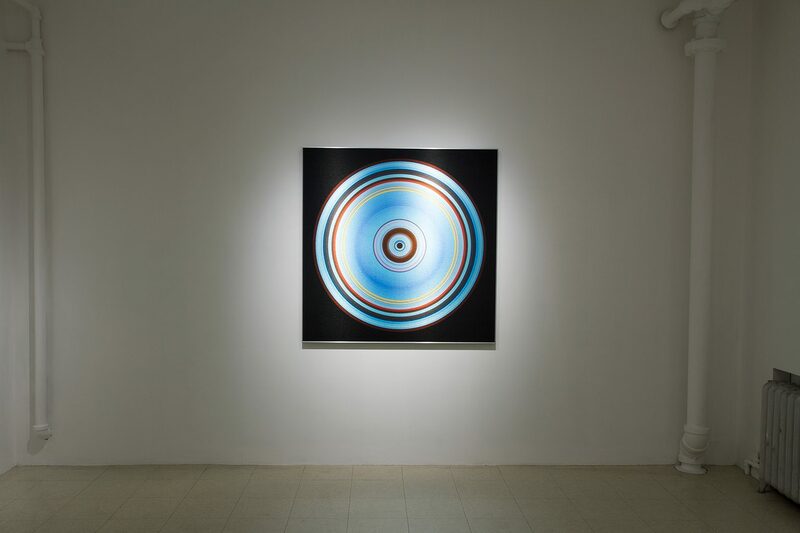 By yielding an energetic relation between the work and its public, Piquette snatches the attention of the viewer and embarks them in a game of optics. 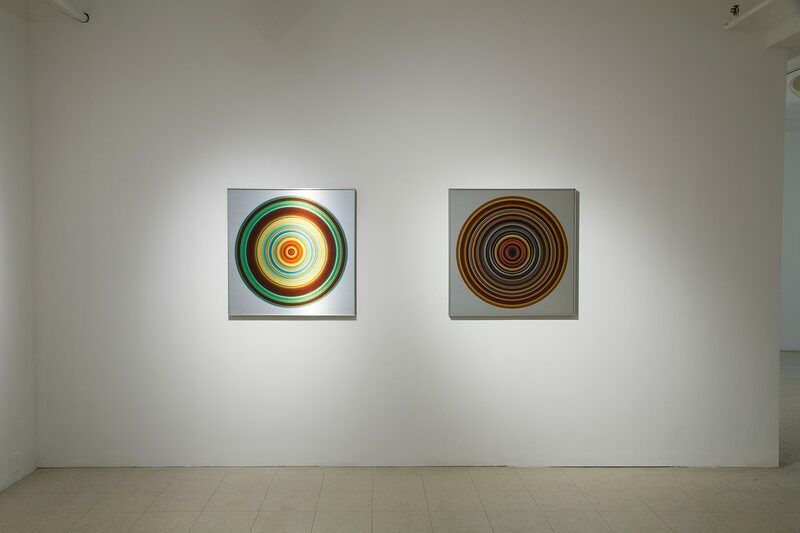 If upon first glance these works appear impeccable, of an irreproachable artistic achievement that we could associate to Les Plasticiens, a closer look reveals imperfections that humanize the general composition and register the hand of the artist. 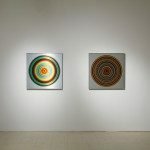 This is particularly surprising considering that Piquette’s creative approach, while borrowing from a certain visual vocabulary, is translated through photography, not painting. 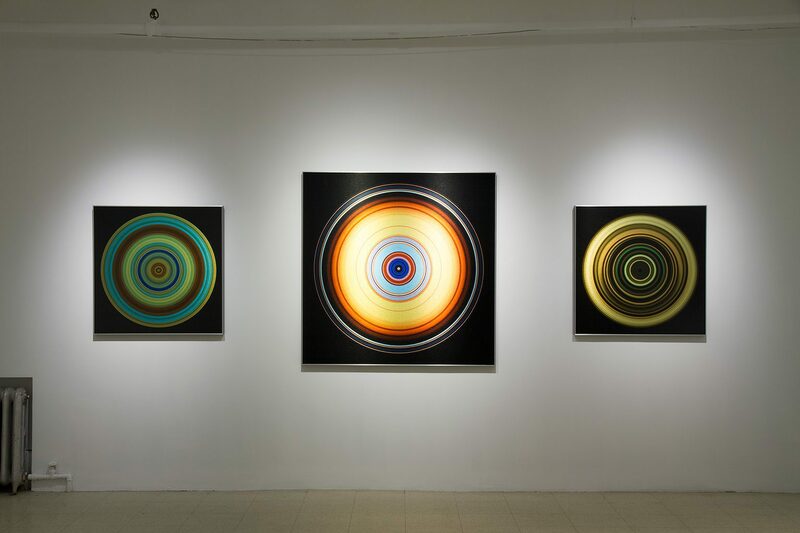 Printed on aluminum, Piquette’s photographs seek to fix the energy of a city captured in a concise moment: the city’s exhilarating movement, its complexity, its lights as much as its colours. 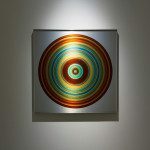 All taken during various nocturnal journeys, the works in this series are urban portraits that make up the first part of the artist’s trilogy initiated a few years ago. 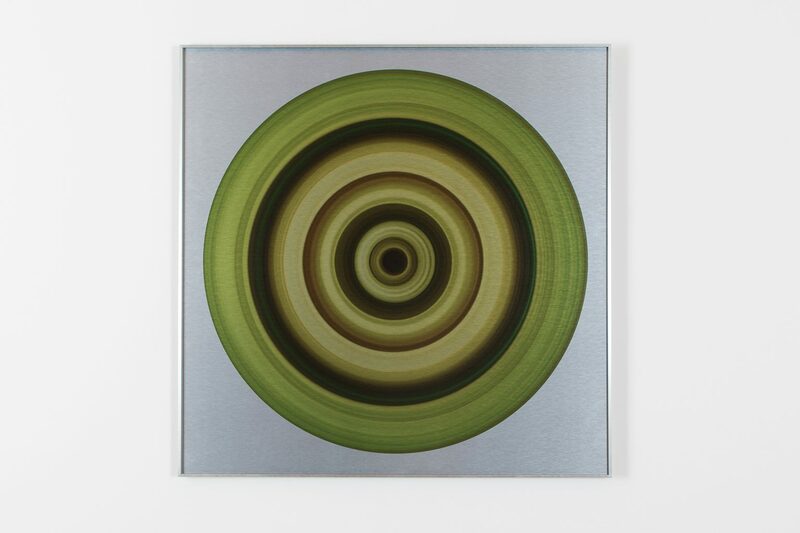 In Piquette’s work, there is a recurring concern with optical phenomena that the artist chooses to convey by drawing a relation between the worlds of painting and photography. 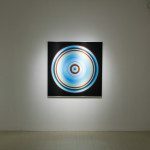 The static dynamism of his work reveals his position as an observer, of his eager eye in front of the movements and lights of the cities he visits at nighttime. 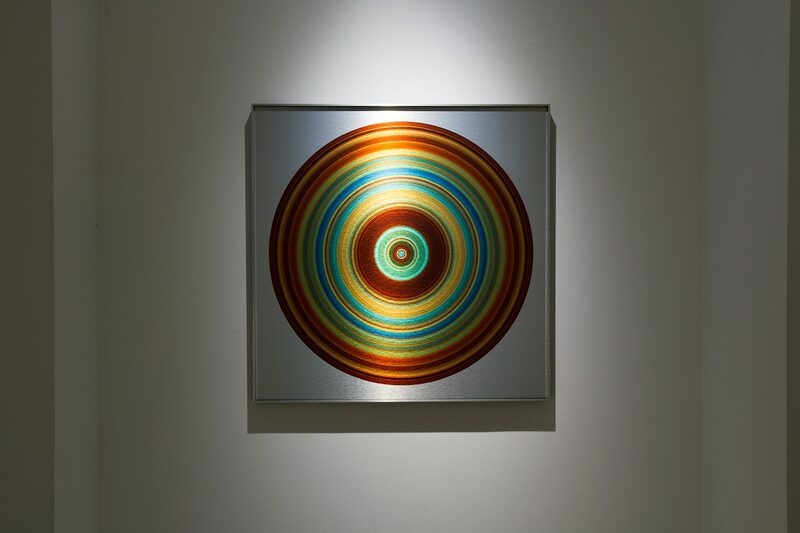 By redistributing the urban energy he captures during his after-hours wanderings into visual structures all equally disorienting, Piquette reinstates in the current artistic vocabulary visual preoccupations that carry a rich background. 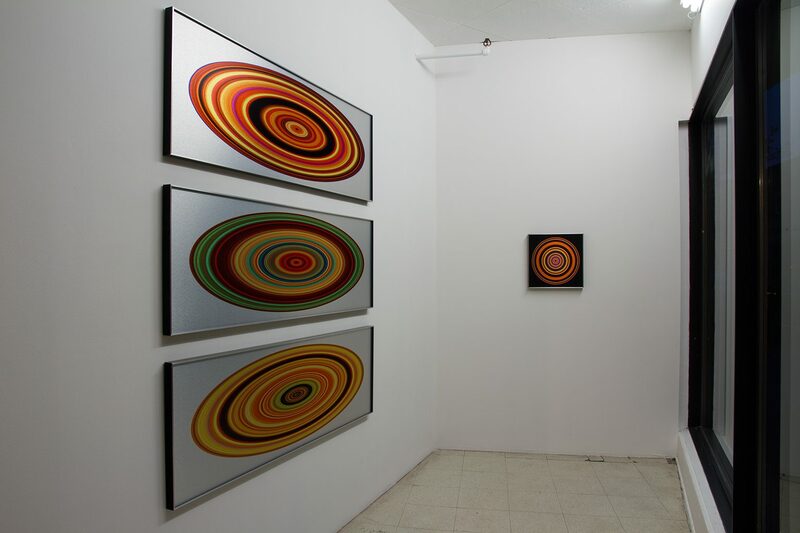 Many aesthetic considerations are combined in this work. 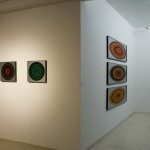 We can think of the urban landscape at the source of his creative process, of time which he places as the subject of his work or of the chromatic system, simultaneously his primary influence and the result of his technical manipulations. 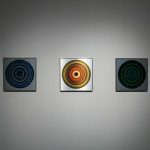 This richness is precisely where the strength of Piquettes’ work resides. 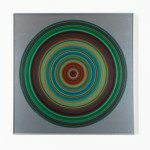 By juxtaposing on a same surface a plurality of levels of meaning, the artist grasps the complexity of contemporary urban spheres, their affluence and abundance. 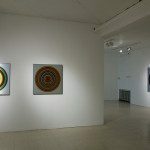 In a manner evocative of Baudelaire’s chiffonnier, Piquette’s is an urban observer that reinvests the space of the city to capture nothing but its essence.